About Us When you need a thoughtful, determined lawyer. Ms. Palchak’s experience is drawn from public service and the private sector. Before founding Jo Ann Palchak, P.A., she worked for several years at the white collar firm of Zuckerman Spaeder LLP. Prior to that she clerked for the Hon. Darryl C. Casanueva of the Second District Court of Appeal in Florida. 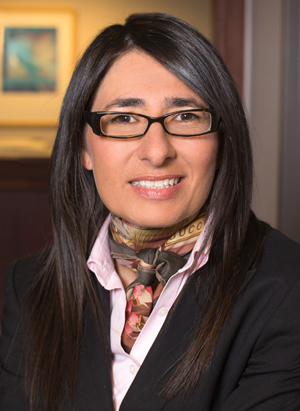 Prior to that, Ms. Palchak worked as a public defender in Hillsborough County, FL where she first-chaired numerous trials for clients charged with serious criminal allegations. As a student at Stetson University College of Law, Ms. Palchak received both the Dean’s Award and the Student of the Year Award. While in law school, she published in the area of gender crime jurisprudence and donated her research to the International Criminal Tribunals of Rwanda and Yugoslavia. Ms. Palchak’s private sector experience includes working as a principal software engineer at Oracle Corporation in the bug diagnostic and escalation division. Before that, Ms. Palchak worked in the power generation business unit of Westinghouse Electric Corporation (now Siemens) and at an internet startup company. Ms. Palchak's extensive corporate experience and background as a software engineer give her unique insight and skill to conduct internal investigations and data searches.